I understand that there is a new processor coming for the Ultra. It’s called the Ivy Bridge …….how long before this is available? I assume it will make the Ultra even faster but is it also any help withthe display issue? Your comments on the display give me pause about the Ultra. Considering waiting another year for the next gen Dell XPS Ultra with a 1400×900 resolution…..assuming it is in the works……If Dell wants to threaten Apple….it had better be! So it has the sandy bridge cpu which is second gen i5. I got to say there is nothing wrong with the speed of the unit. I might even go so far as to say it would not be noticeable if the speed were improved. ts just the display is very underwhelming and in my opinion the resolution inst high enough to take it out of that “netbook” class of computers. Real shame, at this point I am 99% sure I will return it. Thank you for the straight talk on Dell. My 6 month old Inspiron is just tootoo heavy in the backpack, so I’m on the hunt! I would appreciate if you would keep me on your list when you publish reviews. I wonder if new display same as inspiron? thanks! I will hold off on purchase, troubled by display quality info. I hear that Dell will be releasing an 8gb ram model??? This could mean ivy bridge and better screen. I sure hope so. That would be the ideal machine asumining the made the form factor slightly bigger to provide a higher resolution screen. Thanks for the comparison. I’m a PC guy and photographer, I’ve been really looking for a Windows Ultrabook with a good screen. No such thing so far apparently. I have a Dell Studio XPS 1645, which has a fantastic RGB-LED high-gamut panel (discontinued since then), but is about 6.3 pounds and a bit of a pain. I work in IT so I could install Windows on a MacBook Air but I haven’t done my homework so far. You seem happy about it. Any other issues besides the keyboard layout? My photo files are large, I’m a bit concerned about running Adobe Lightroom with only 4GB, my current laptop has 8GB. I also have a 512GB SSD in my laptop, I assume I wouldn’t be able to slap it inside the MacBook Air, right? I too am a photographer. I do all of my processing on a very powerful desktop with an Apple Cinema Display monitor (still running in Windows). However I have used Lightroom on the Air in a pinch before it and it worked fine. 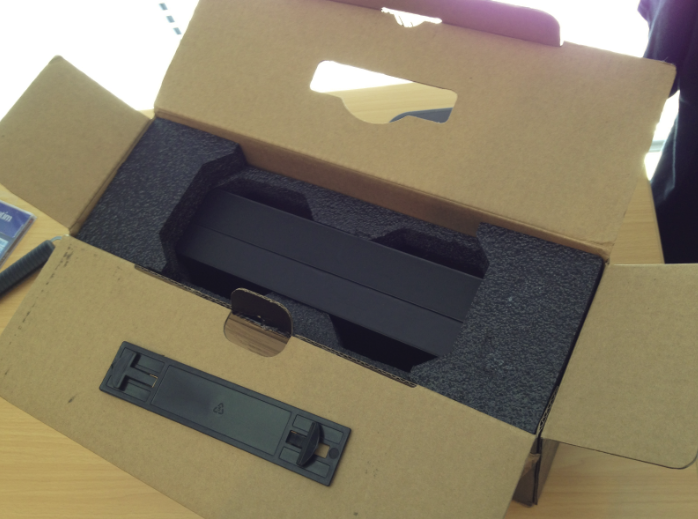 Lightrooms largest bottle neck is the hard disk, with the 256GB SSD on the Air you have that covered. They BTW don’t offer a 512GB on the Air. I would only recommend this for field editing and not a primary workstation. If this is a primary workstation then I would recommend something with a higher resolution which would put you in the heavy 14/15” machines. In that case you could go with a Macbook Pro. It’s what most professionals in the field use. On that battery, battery life is great, maybe not as good as in the Mac partition but I spend so little time in OSX (mostly to facetime my wife when I am out on business trips) I wouldn’t know the comparison that well. I get a solid 4.5 – 5.5 hours of real world heavy use from it. If I were to kill all non-essential programs, turn off the areo glass, and use the lowest brightness I bet I could get over 6+ hours with it. I take this unit on site or into endless meetings at work and never worry about the battery life. Thanks. Yes, I do have a primary workstation I do my 5DMII editing on, this would be for field editing, vacation or photos likes the ones coming out of my Fuji X100/XPro1, which are half the size. Thanks again. The new Macbook Air revision should be coming soon, I’ll get one. Thanks for the post. I use a lenovo W520 and am looking for a smaller laptop for short trips that doesn’t require a full workstation. Currently I use a T420 which is fine but still it’s a full size laptop. I quite like the Air but didn’t pull the trigger due to the fact that I am going to be using windows on it, purchasing it with the bundled OSX is a bit not worth it. The XPS13 ultrabook looks like a good choice but the screen kills it for me (I very much enjoyed the FHD screen 1920X1080 on a 15.6″ screen and wouldn’t settle for something inferior). 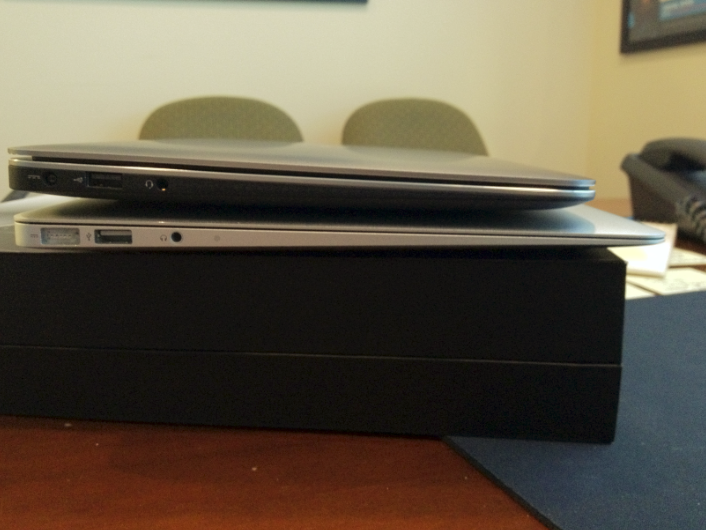 HP, Lenovo, Dell, all seems to fail to overtake Apple in the ultrabook round, I’ll probably just go buy an air then…. Yeah you are right on the money, I just don’t understand why they wont clone the Macbook Air, and then improve on it. Instead they get close to it and say well people will buy this. 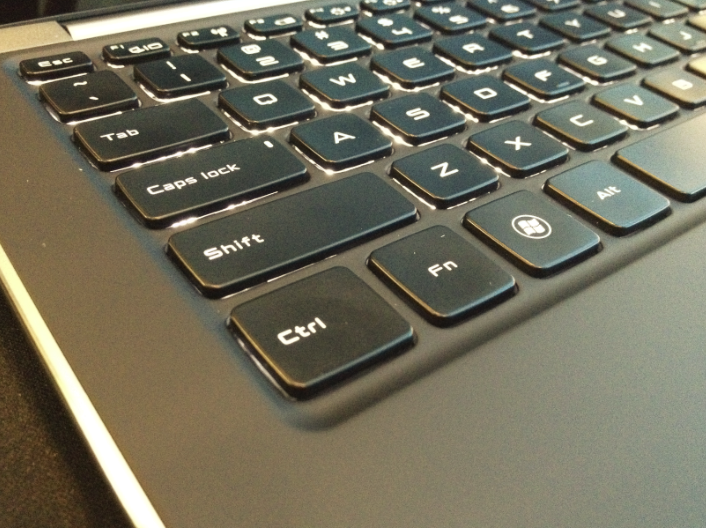 I love my Macbook Air running windows although the keyboard is a little hard to get used too. No Delete key (FN + Backspace for that) and no way to right click drag without plugging in a mouse (which is very rarely a issue for me). Apple really did make the perfect hardware. Seems rather an immature review without being objective. Seems like you liked nothing about the XPS 13. 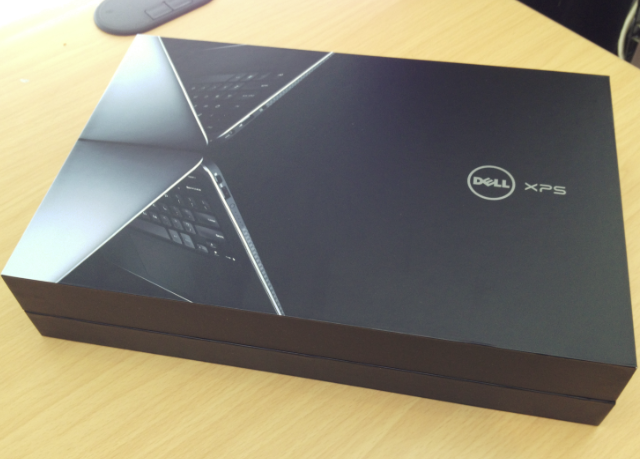 I would argue that there was a lot I did like about the XPS. In fact I liked practically everything other than the display, size of unit, and the power adapter. The thing that kills me the most is they almost had something great but then due to cost reasons toss in a netbook style display in there completely changing the function of a device like this. I really want Dell to come out with a Air Killer and for me that is what I am looking at this device to be. I don’t understand why you think its OK to clone? 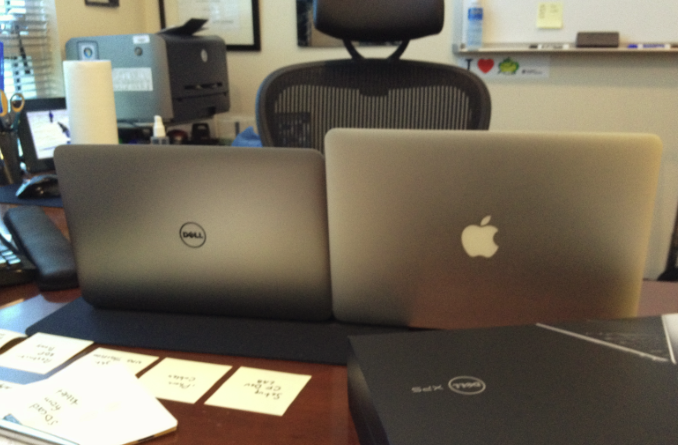 Besides, they DID clone the MacBook Air 11″! Put it side and by side and you’ll see exact duplicate in the overall design, locations of all the ports, keyboard key size and location, trackpad size and location, screen hinge, curved corners, gorilla glass display (this one cloned with MacBook Pro), etc. 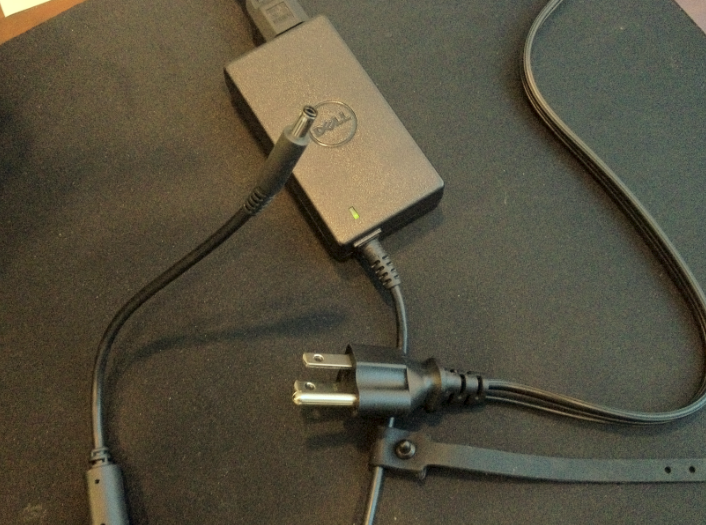 Dell should be ashamed of being a copy-cat! Paul I would say they needed to be a copy cat. Apple really did get the Air perfect. 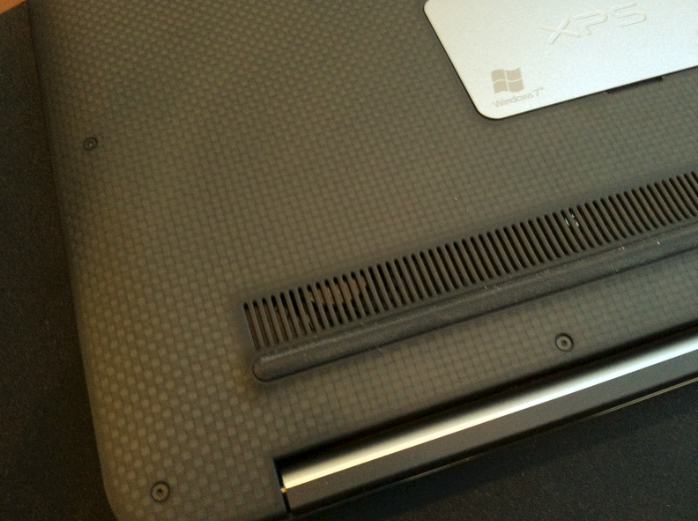 I would also say Dell did make it slightly different by using the carbon fiber bottom and the rubberized top. Both things I think made a big improvement on the copy. However like I had said before the screen was too small and the body still a little to fat for my liking. In those case copying Apple could have lead to a PERFECT product. how about heat and noise? It runs ok until it starts working on something CPU intensive, then the fan kicks in and it starts getting uncomfortably hot. I wonder how Apple deals with that same issue with roughly the same hardware. It is now May. 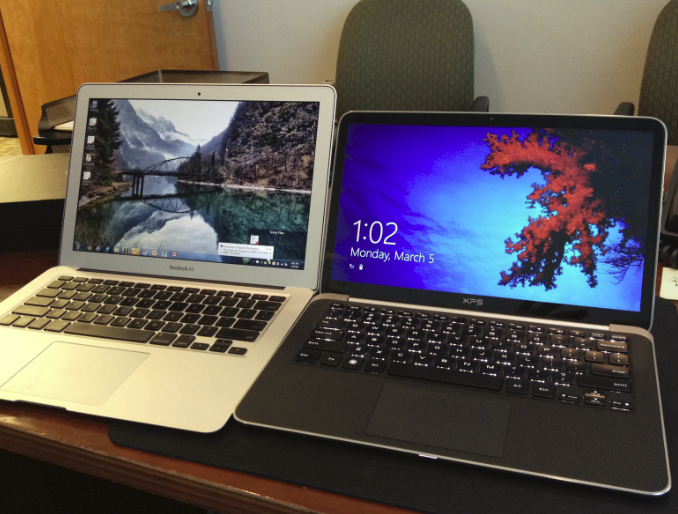 Did you switch back to the MacBook Air or are you sticking to the XPS? Is the display issue livable? I switched back. The display wasnt good enough for me to keep using the XPS. However if I had never had a Macbook Air then I might have been ok with it. Its just very hard to go backwards. Dang! I don’t have a macbook (but I like and don’t like it for all the reasons you described) so I might still go for it. Thanks for the update. 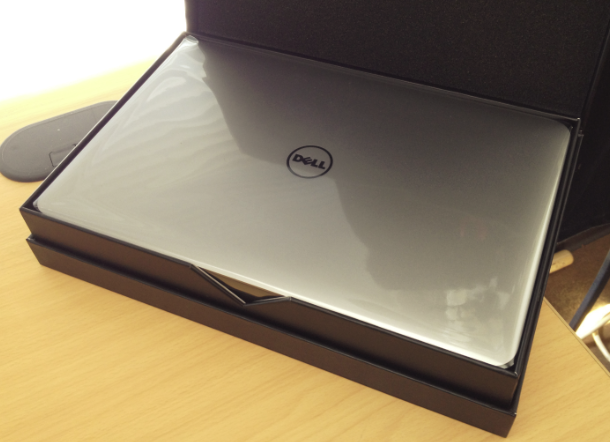 “Due to its reduced size, the Dell XPS 13 Ultrabook only has a 1366 x 768 screen resolution. The MacBook Air has an impressive 1440 x 900 screen resolution.” ????? Both are 13.3 inch screen. There’re two differences in the screen: the aspect ratio (macbook air is taller, while the dell xps is widescreen) and the dell doesn’t have a useless metal around the screen, the glass it’s almost 100% screen. Are you really a IT expert? Anderson, no need for insults (or trolling) to have a meaningful conversation. The resolution at 1366×768 isn’t high enough for the work tasks of most of the people I work with no matter what the physical size of the display is. 1440×900 is barely any better. Multiplying those two numbers along with the physical diagonal screen size gets you the Pixels per Inch (PPI). For example Apple states on some of the iPads to be a “rentna” display. What that really means is that PPI number is so high the human eye cannot perceive each individual pixel. This leads to far greater display output. The impressive part of the Apple display isn’t the 1440×900 (although 1440×900 starts to be a usable resolution), but rather the combination of two things. One is the sharpness that comes from a higher PPI. The other though, the real difference is in these two specific displays is the color reproduction and side angle viewing. The original XPS 13 display is not a very “good looking” display. Images seen side by side on both displays would be very noticeably different in quality. HOWEVER! Dell just announced they will be offering the XPS13 with a 1080p display (1920×1080) that offers best in class PPI and much greater image reproduction (color and side angel viewing). Anyone wanting a XPS13 should spend the extra money to upgrade to this display so they can see the unit in its full glory. 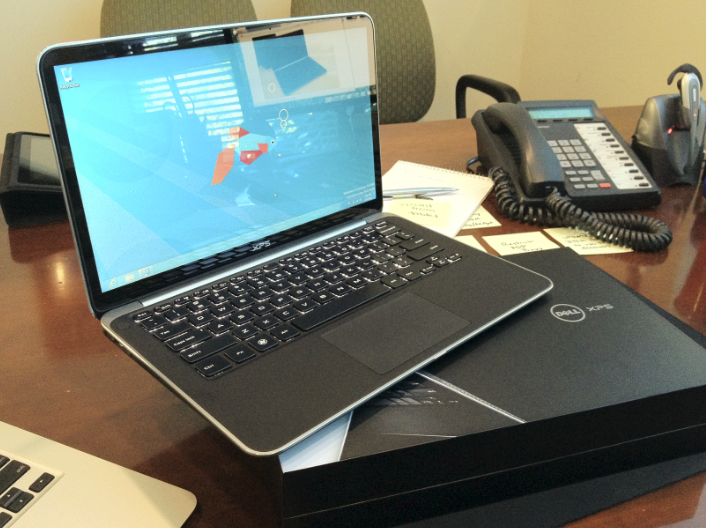 Also as a last follow up, I am now using a XPS 12 which also has a 1080p display (and touch screen!). 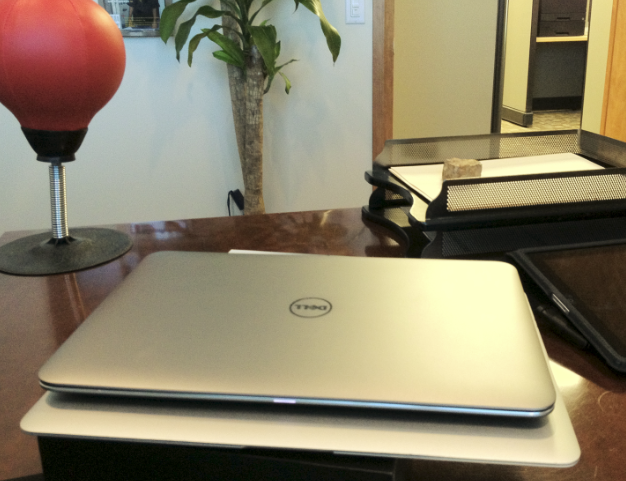 I finally was able to jettison the Apple and am enjoying Windows 8 on my XPS12! Previous PostPrevious Fix: Lync Client for Mac OSX disconnects within 1 minute of connecting.